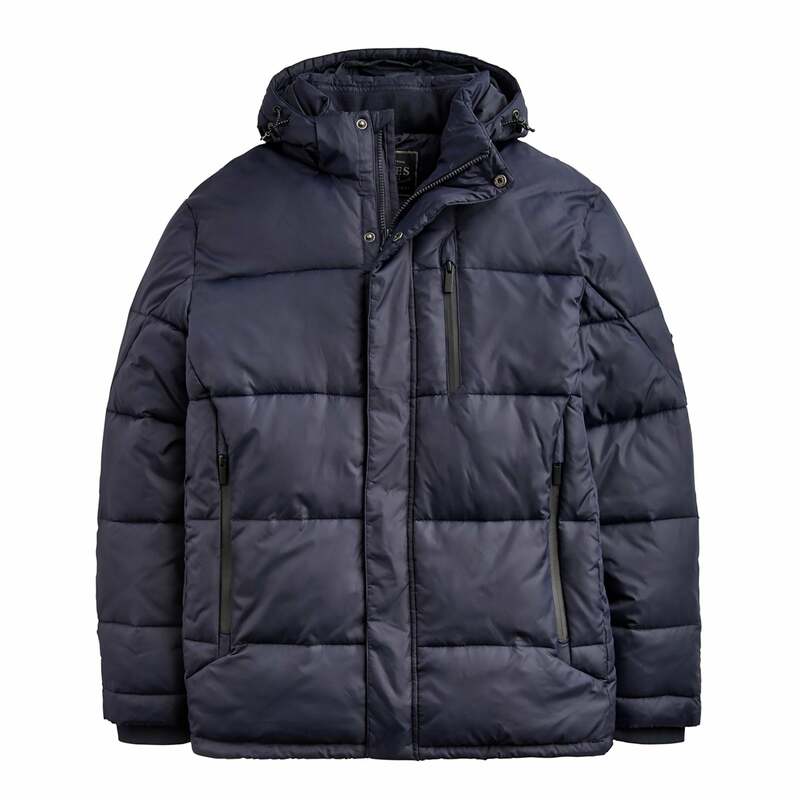 The Joules Hartbury Men's Padded Jacket is effortlessly stylish and easy to wear. Crafted from tough Ripstop fabric and filled with Upfill, a warm faux down to ensure you're alway warm and toasty! The hood is lined with soft cotton jersey to keep you warm (and looking good) no matter how cold it is outside. Complete with a zip and popper fastening, zip pockets to safely stash your keys, phone and other important stuff and complete with a detachable hood – which you’ll want to use on those extremely cold and blustery days.